It was Carla Falcone’s cute maternity dress and the ugly acupressure bands aimed at stopping the nausea that accompanied her pregnancy that gave rise to the idea of Psi Bands. Falcone’s friend, Romy Taormina, also had used the bands during her pregnancies to cope with morning sickness. But it wasn’t until the day of Falcone’s baby shower that the two women noticed the contrast between Falcone’s stylish outfit and her unlovely accessory … and knew they could do things better. Along with their friend Peter Schouten they started Psi Bands (pronounced “Sigh Bands”), a line of acupressure wirst bands that still offer a drug-free way to combat nausea, but do it in a range of stylish colors and patterns. Here Romy Taormina, mother of boys aged 6 and 9, dishes on planning ahead, her fantasy vacation and coming to the rescue of a nauseous flight attendant. TMOM: How long ago did you start the business? 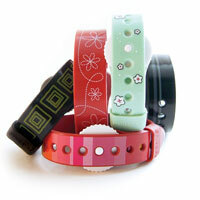 ROMY TAORMINA: We launched Psi Bands into the market place in October 2007. Psi Bands use wrist acupressure, a form of ancient Chinese Medicine. Scientific studies support the use of wrist acupressure for the relief of nausea due to morning sickness, motion sickness, anesthesia and chemotherapy. I suffer from motion sickness, so I carry my Psi Bands around all the time. TMOM: And have your kids tried them out? Do they get motion sickness in the car? ROMY TAORMINA: We don’t do that many road trips, but when we have been on boats (one of my sons) will get nauseous, so he wears them during the boat rides. Like a catamaran from Los Angeles to Catalina Island. TMOM: And are you traveling now to promote the business? ROMY TAORMINA: I am traveling. For example, on a recent trip to Pennsylvania to visit one of our major retailers, I was on a very turbulent flight, and I was wearing my Psi Bands and I was completely fine. However, there were passengers throwing up, including a flight attendant. So I started chatting with her and telling her about my Psi Bands, and she bought a set from me on the spot. Within five minutes she came back to me, and she had color in her face and she said, “You are sister from God; I feel so much better.” She is a single mom, and this is what she does for a living, and I guess on the very turbulent flights she is very susceptible to motion sickness. Now she has a way to help relieve that nausea. TMOM: Oh, that’s great. So are you traveling quite a bit for the rest of the year? How far in advance do you plan that? ROMY TAORMINA: Sometimes I have less than a week’s notice to meet with a retailer. For example, I might be pitching an account or a specific retailer, and I have their interest and appointments become available, and I get a call and they’re like, “We have an opening for you next Friday morning at 10 a.m. Can you make it?” And you do what you can to make that happen because you want to land the account. TMOM: How do you make that happen at home? ROMY TAORMINA: Well, actually, it’s very stressful. But you know if there’s a will there’s a way, and you just make it happen … I am a huge believer in asking for help when you need it and then you know when someone else needs your help you jump to help those who are in need … My mother-in-law comes at 7:15 in the mornings to relieve my husband because he needs to get to work, and then she’ll take them to school at 8:30. In the event she is traveling and unavailable, my husband will just go into work late those days or he will drop them off at a friend’s house, and the friend will take them to school. And I’m mapping out all the details, where everybody’s going and who’s responsible for them at those specific times. I make meals ahead of time and freeze them, and I find recipes my husband can implement very quickly in the Crockpot. I use an Excel spreadsheet and just map it out for him: This is where this son is going after school this day, and this is when they need to be picked up. Just a lot of coordinating the details. TMOM: I’m interested in the meals you freeze ahead of time. Why do you do that? ROMY TAORMINA: My husband works full-time, and it would be like being a single parent, I suppose. You know, working all day, and you get the kids after school, you come home and any help that you can get is very much appreciated. I’m trying to maintain that healthy balance between being what I consider a good parent and a good mom yet balancing my career. I believe in what I’m doing with Psi Bands; our product provides much needed relief to a very common problem. So I feel like I am giving back through my business, and I also feel like I am teaching my children that when you work towards something, you can accomplish it. TMOM: Have you ever had to choose between an important school event and a trip? ROMY TAORMINA: Oh, definitely. When that happens, you just gotta say, it is what it is. Maybe I can’t help for specific event, but I make up for it by helping in the computer lab or in their classrooms on another day. So maybe I’m going to miss Valentine’s Day at school, but I’m going to help make those cupcakes with the green frosting, the gold coins, the little rainbow candies for St. Patrick’s Day. It just all balances out. TMOM: Do you have any vacation plans for this summer? Is the economy affecting your choices? ROMY TAORMINA: Yes, definitely affecting our choices. We aren’t going to be flying to Hawaii this summer, we’re going to be taking a camping trip. TMOM: Do you have a fantasy vacation? ROMY TAORMINA: You know, I would love to take the kids on a Disney cruise. I think they would thoroughly enjoy it. My husband and I have been on several cruises, and we really enjoy them. We would bring our Psi Bands, of course, and we’d be fine. TMOM: What is your personal must pack item? ROMY TAORMINA: Psi Bands. I carry a set in my purse so that when I’m traveling I always have them. I always carry them in my glove compartment, too. TMOM: Do you carry different colors to match your outfit? Tell the truth. ROMY TAORMINA: I just wear whatever I happen to have. TMOM: Have any advice for other moms out there with young kids in school who do have to travel here and there for work? 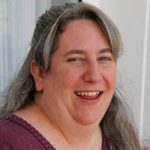 ROMY TAORMINA: I would say the biggest thing for me that helps me feel confident in leaving is just planning in advance: knowing where my children are going to be at all times, making their teachers aware, so if there are any snafus everyone knows where they’re suppose to be and what phone numbers they can use to call. Planning in advance goes a long way.